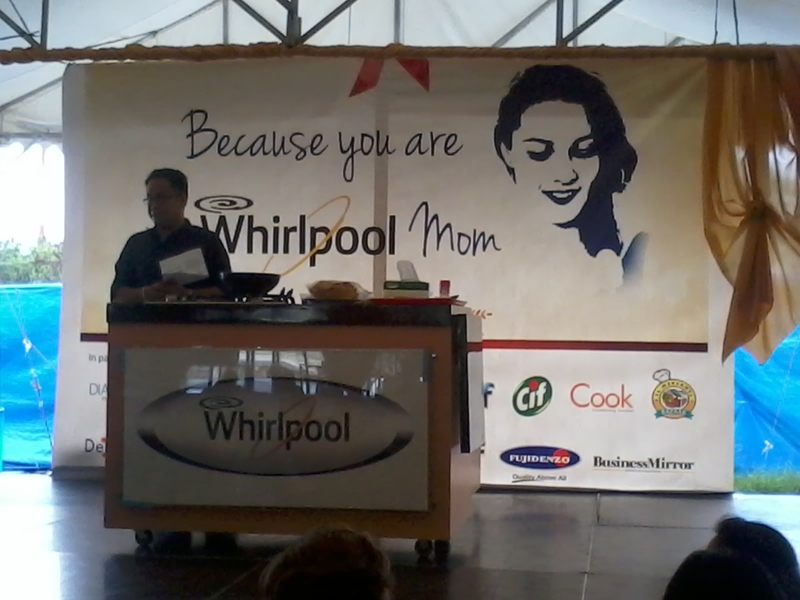 Whirlpool booth opens up another Mommy event everyone shouldn't miss. 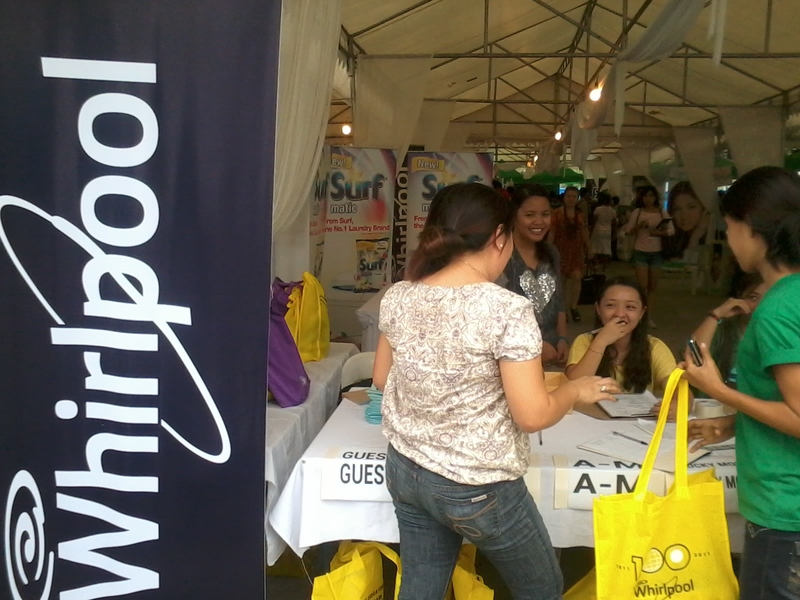 Dermablend Soap and its sister company, Diana Stalder has joined hands with Whirlpool in giving all Moms the pampering they truly deserve as part of the post mother’s day celebration in an event dubbed as “Because You are A Whirlpool Mom”, held recently at Il Mercanti, Metrowalk, Ortigas. 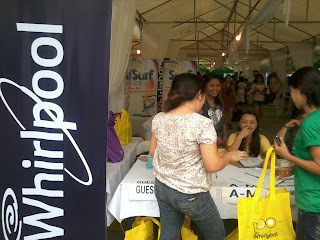 Mommies were happy to receive awesome loot bags courtesy of Whirlpool and generous sponsors like Diana Stalder and Dermablend. The passport to a day of bliss for Moms like me + raffle claim stub. Moms like me were able to avail free food samples, attended cooking demonstrations, booth games, physical fitness sample tutorial sessions, pampering treats sponsored by Dermablend and Diana Stalder, awesome raffle prizes and Whirlpool made sure along with their generous sponsors that nobody came home empty handed because the loot bags that were given to Moms were filled with goodies! The main stage where guests and sponsors had some talk and demos. As a hands-on Mom, I appreciate when there are pampering treats that await mothers on events such as these. Why? I believe being a mom isn’t an easy job. You have no excuse to be absent; you are on a 24/7 kind of career. You are at the beck and call of your children and family. It could really be frustrating at times, but your kids keep your emotional sanity. And these pampering treatments, especially when availed for free, does help a lot—it gives you a rare and special “me” time. 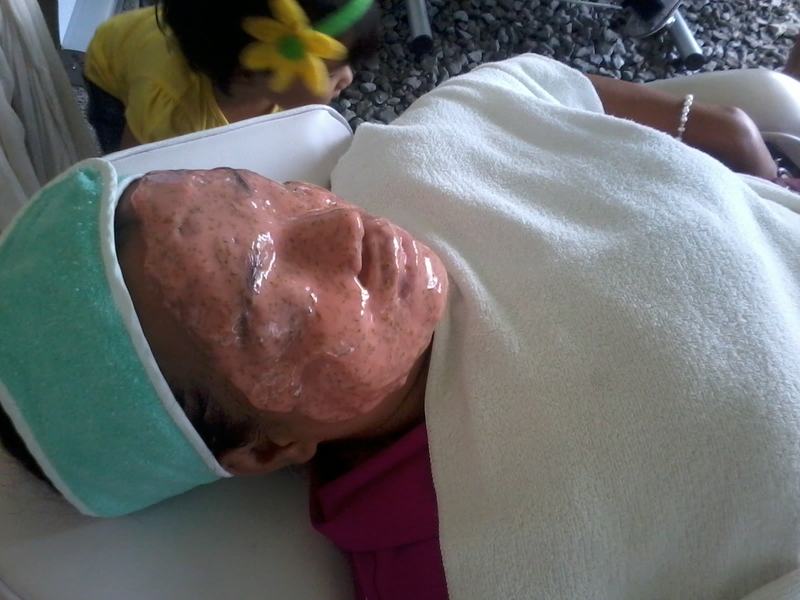 A lucky Mom tries on Casmara Cosmetics Philippines' Relaxing facial mask treatment for Sensitive skin. 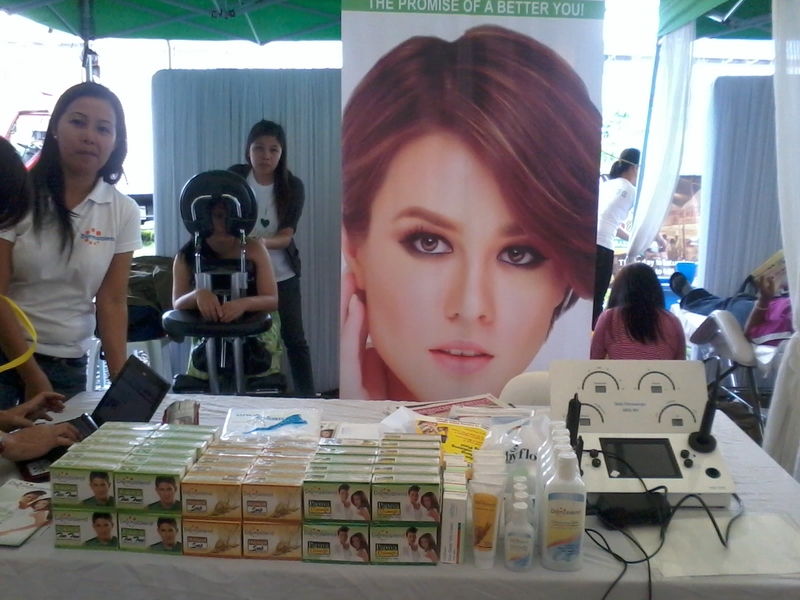 During the Whirlpool event, they provided free services such as back massage, facial cleansing, nail cleaning, manicure, pedicure, foot massage and some lucky Mommies also had the chance to experience the so-called ultimate luxurious facial treatment from Casmara Cosmetics Philippines—a Casmara facial mask treatment! 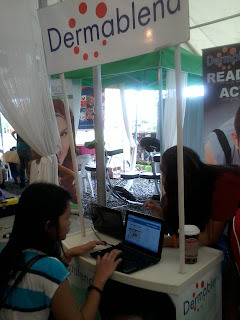 Too bad, I was busy doing the rounds of the different booths that I didn’t had the chance to have that treatment. But just the same, seeing fellow Moms who tried that treatment, I could instantly see how relaxing the entire treatment was. I’d definitely want to try it soon. 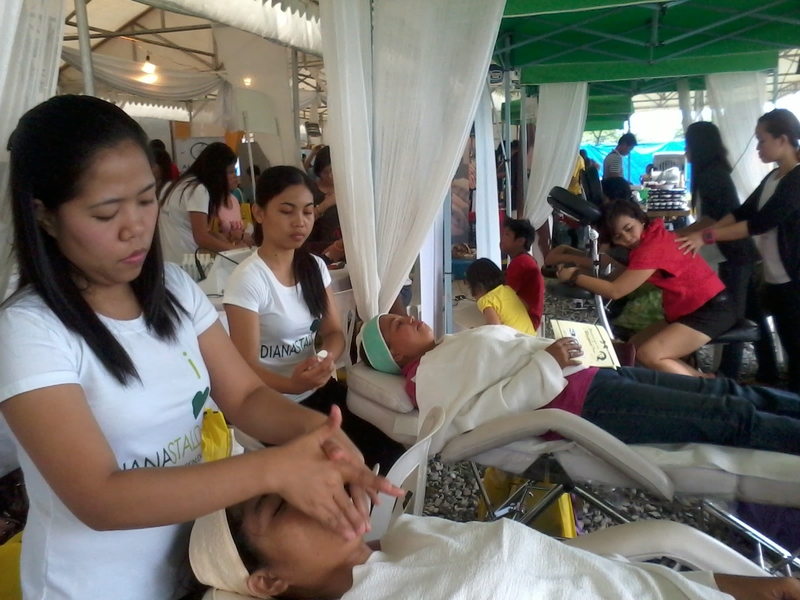 Facial treatments and cleansing were given for free! 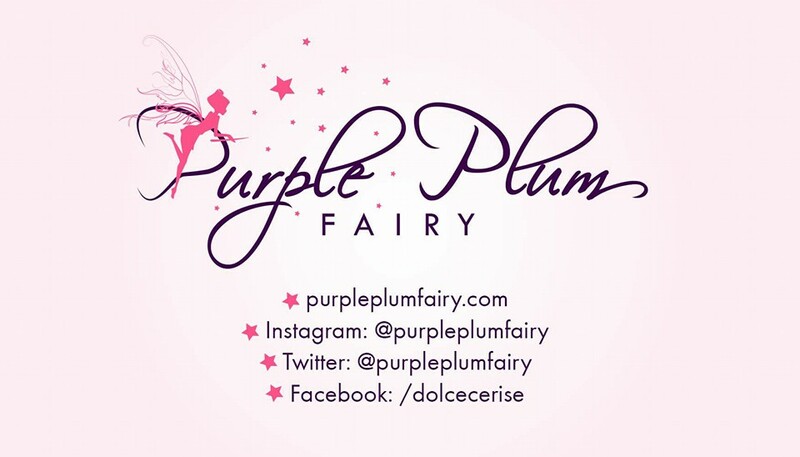 Discounts from sponsor products like Dermablend Soaps and Diana Stalder products also had big discounts like 10 percent up to 50 percent off from its original prices, giving consumers a good deal for their money. While Moms enjoy a back massage, they also enjoyed 10-50% off from Dermablend Soaps. A new Dermablend Facebook fan page liker logs on her FB account on-site. Dermablend and Casmara Cosmetics Philippines even invited mommy participants and attendees to like their Facebook fan pages on-site by providing laptops where new members could log in and old fan page likers to post their Facebook status for free. In doing this, everyone gets to have a chance to join their ongoing online contests, to the delight of the crowd who came to the event. 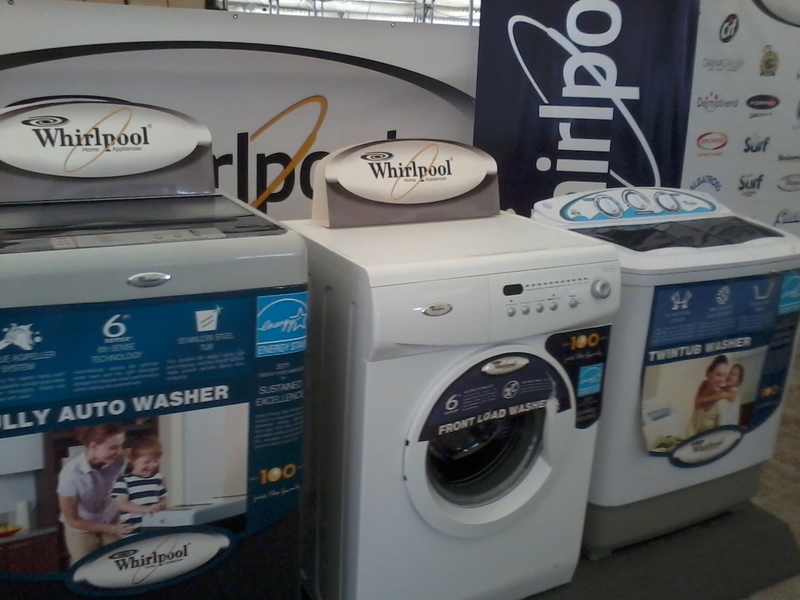 A set of awesome Whirlpool washing machines, one was up for grabs that day! Whirlpool raffled off amazing prizes including Whirlpool washing machine and refrigerator. Diana Stalder gave out P100 worth gift vouchers while Dermablend had their best selling Papaya Orange soap bars in the loot bags given to lucky Moms on that special day exclusively for them. 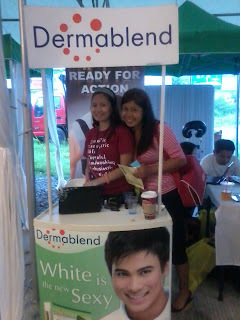 Fans of Dermablend Soaps smiles on the booth. Indeed, it was truly a wonderful day for all the moms who came despite the heavy rain—they were pampered, received wonderful goodies and had bonding time with their fellow moms! t'was nice seeing you in this event mommy Vance. I enjoyed it so much, more so with the free pampering services I got. It was a nice treat for Moms. Moms deserves free pampering treats once in a while. I haven't tried dermablend yet. I think I should to see if it's really good. Wow! 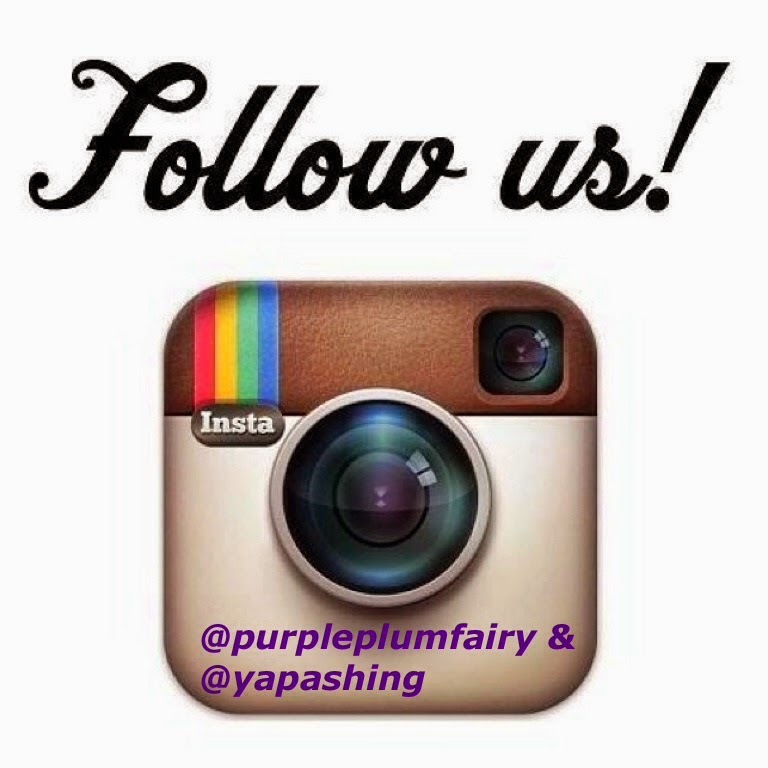 Great products and a great time! So glad they are giving back to the Mothers who are the most important members of any society! That's a nice way to pamper moms. Every now and then we treat ourselves to a "mom" day to celebrate our motherhood. It was an amazing day to be spending with fellow moms. 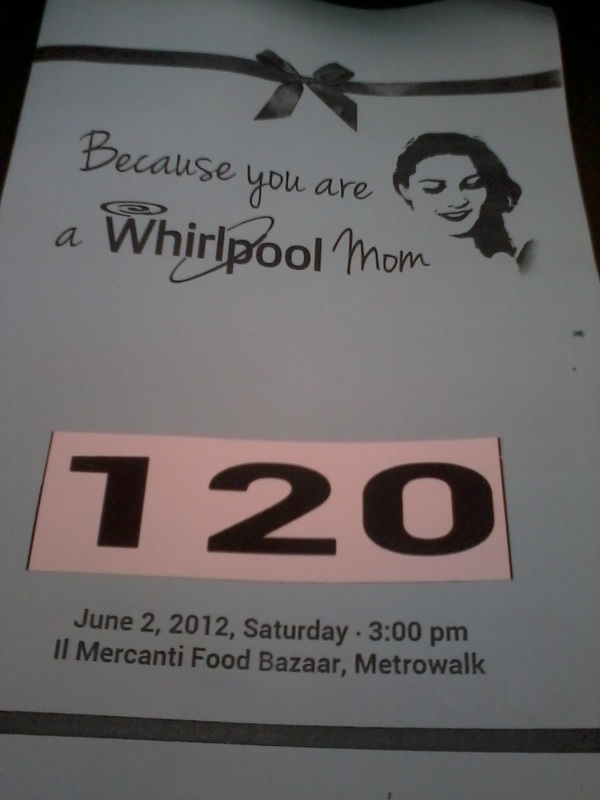 As mom, it pleases me when an event as such is dedicated to moms. Truthfully said, moms need to have days off too, for pampering, and relaxing and meeting friends. Love to see you guys at the event. 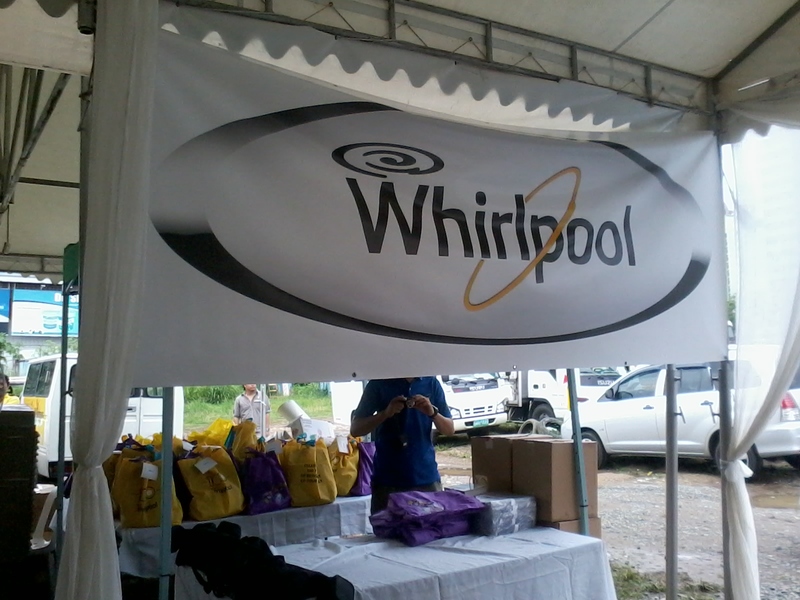 Wow anggaling naman ng whirlpool... This is a good promotion especially for us moms. i think moms really deserves this kind of pampering. nice event for all Mommy! Congratulations! HOW ENERGIZER AND NUFFNANG POWER MY LIFESTYLE?